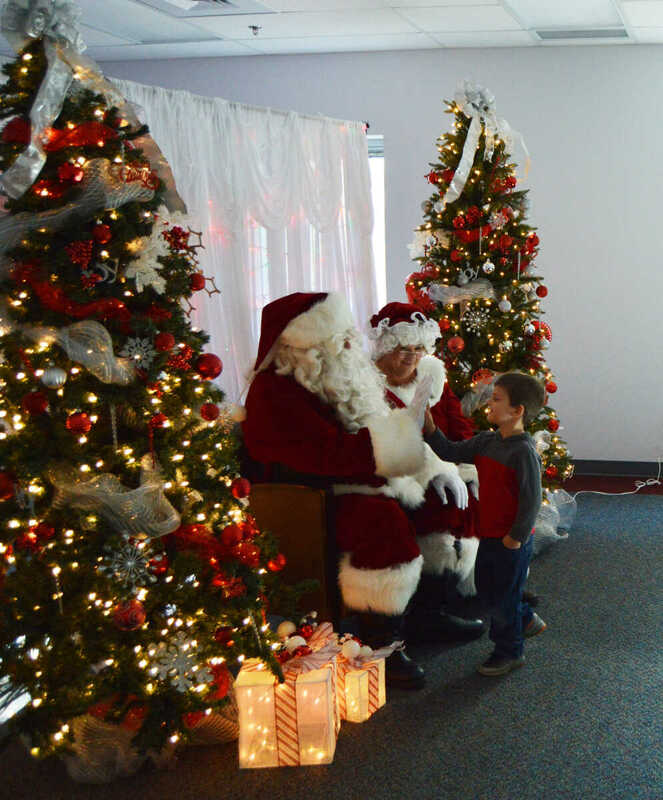 Visiting children had a chance to meet Santa and Mrs. Claus. 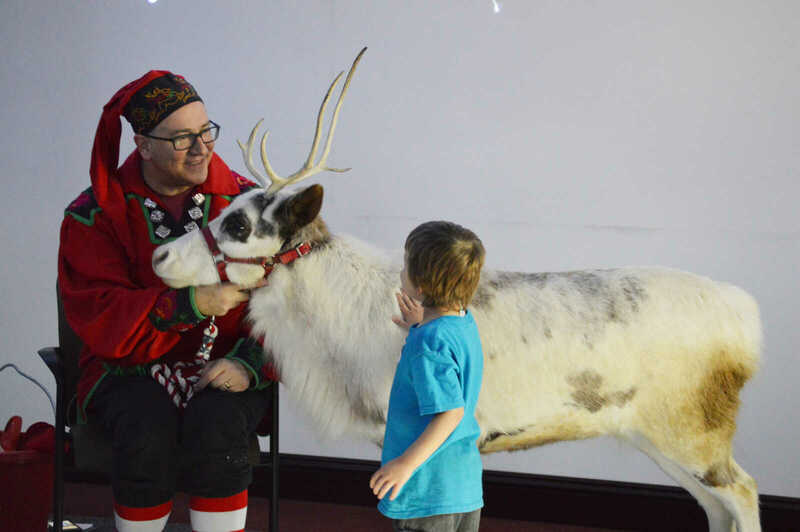 Silly Safaris talked about reindeer and introduced children to Elsa. She likes to be frozen! 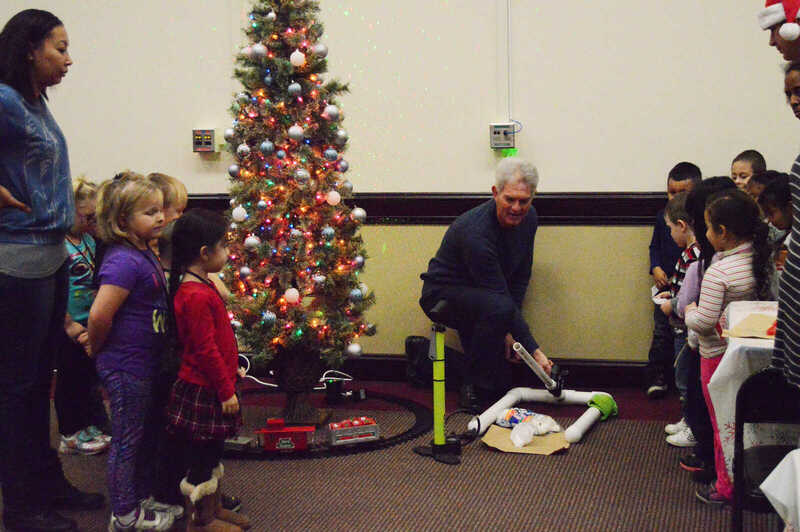 Among STEM activities at the Crane Community Christmas were a marshmallow cannon. 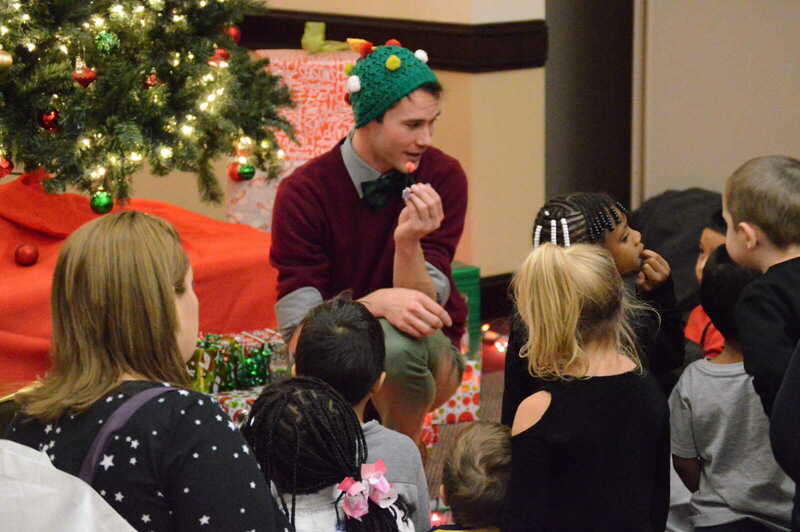 Children had a chance to learn engineering by building with gumdrops. 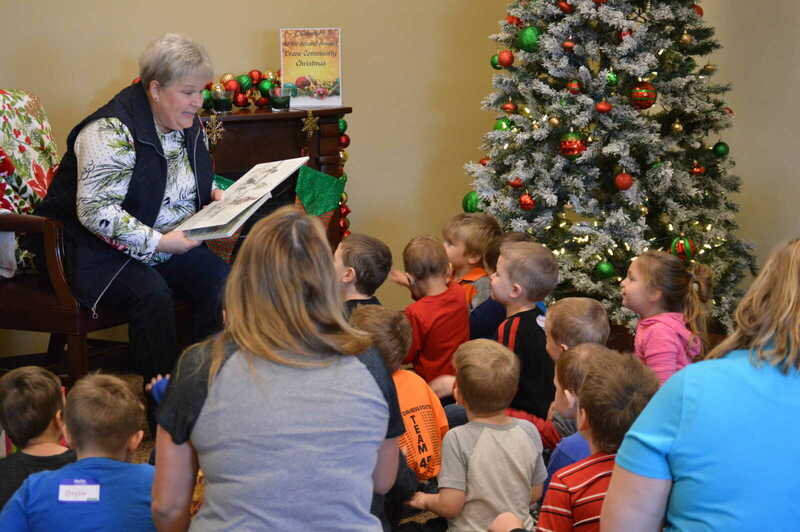 Chris Wittmer read to children during the Crane Community Christmas. 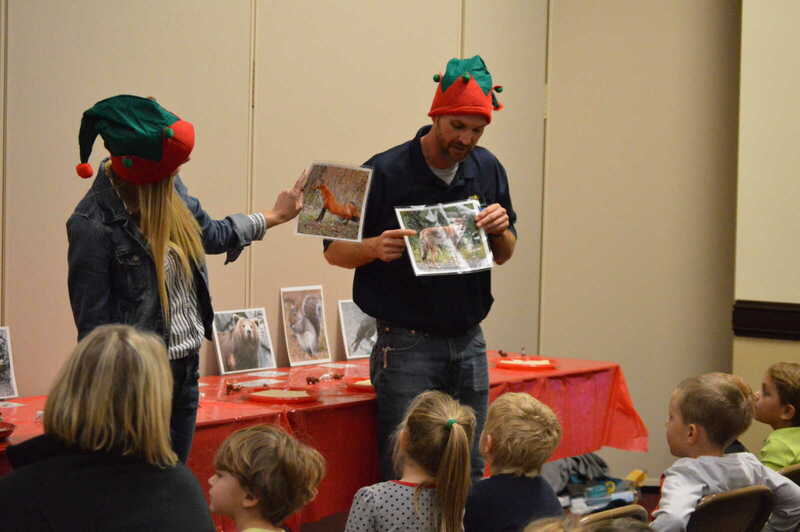 Area children got to learn about animals and animal prints at the Crane Community Christmas. 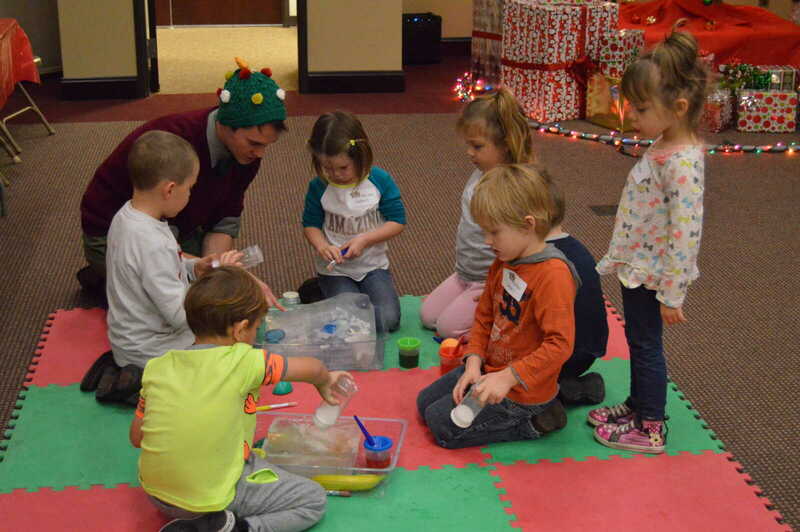 Area children learned about chemical reactions with salt and ice from a representative of WonderLab, based out of Bloomington. 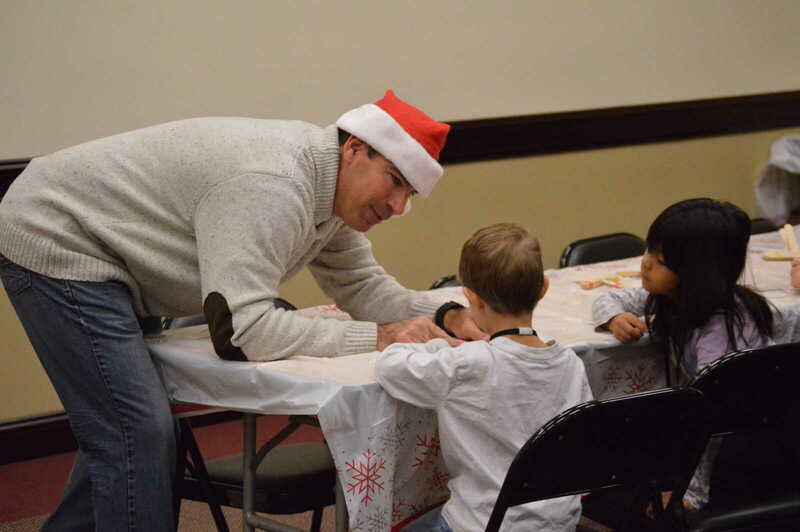 Children learned about building marshmallow catapults for a STEM activity. 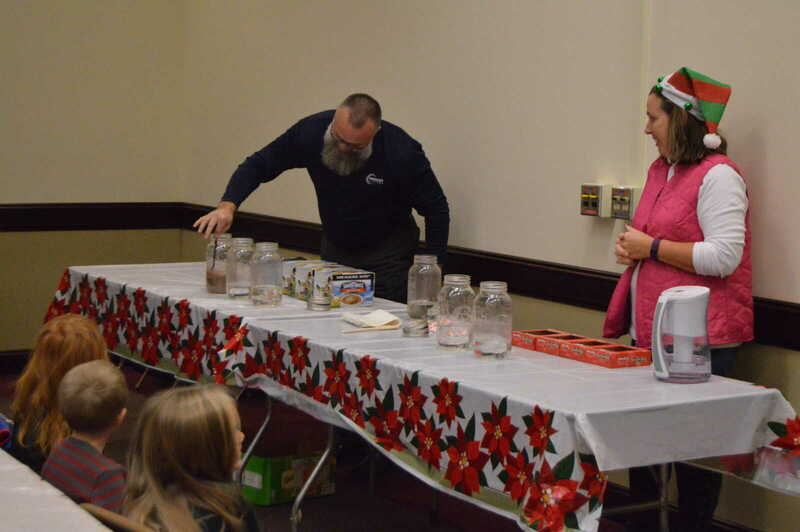 Children learned about how hot chocolate and candy canes react in cold, warm and hot water.